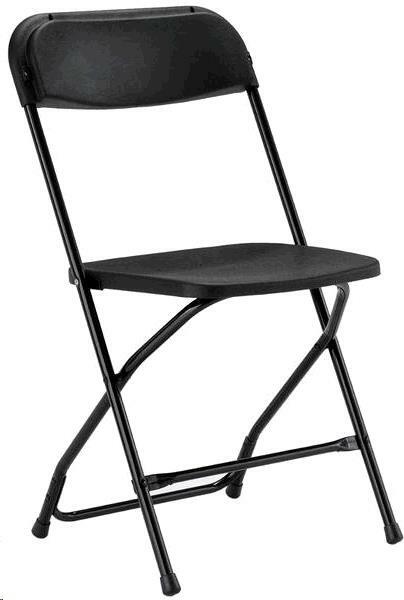 Samsonite black plastic folding chair. Metal frame with plastic seat and back. * Please call us with any questions about our chairs black folding in Oak Grove MO, Blue Springs MO, Independence MO, Lexington MO, Odessa MO, Independence MO and Western Missouri.